If you are after something specific, we can provide any item, either to order or after a design consultation. We offer our products with a variety of finishes including primed, glossed, powder-coated or galvanised. Existing installations can be refurbished or repaired by us, and there is also a standalone galvanising service available for your convenience. Contact us today for more information. 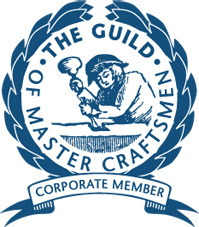 As a corporate member of the Guild of Master Craftsmen, you have our guarantee that your requirements will be met at all times. We pride ourselves on delivering a high standard of workmanship, ensuring the satisfaction of our customers. Wessex Fabrications has been manufacturing and installing both domestic and industrial gates in the Poole and Bournemouth areas since we were first established in 1988. As we design and fabricate the gates ourselves, we are able to offer options to suit all types of budgets. Come to us today for a free quote and to discuss your requirements in more detail. Railings can come in a variety of shapes and sizes, as fabricators we have a number of years of experience in providing our clients with a variety of style options to meet their individual needs. Creative designs are ideal for residential properties whereas schools and offices may prefer something more traditional. As we make all of our railings and fixings ourselves in our highly equipped workshop, we are sure that you won't be disappointed with the finished product. We have a variety of railheads on offer, to fit our traditional railings; call us today to discuss your options when you need the services of metal fabricators in Poole and Bournemouth.